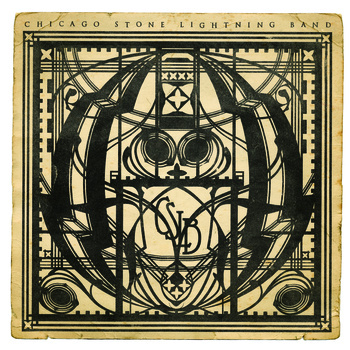 I first heard of/saw the Chicago Stone Lightning Band (or "CSLB") when one of the first Giant System videos was circulated online. I was impressed by what I saw to be a new take on an old style; just about as authentic of a beefy blues tone as you could imagine in today's digital era. Their self-titled album delivered the cold, hot and pure fuzz that I gravitate to as a guitar player, as well as the whomp and swing that I love as a musician in general. I saw them play this summer and wasn't disappointed, and neither will you! Here's an interview with lead singer and guitarist Ben Pirani. Have you ever been to a pig roast? If so, when and how was it? Are any members vegetarians? Sure, Just two weeks ago the Windy City Soul Club threw a Pig Roast with Longman & Eagle. I didn't get a chance to sample the swine but folks seemed to be enjoying it. I hate saying I am a reformed vegetarian because it stinks of the last soya morsel of my youthful idealism evaporating. I know that you are a member of the Windy City Soul Club, a DJ group that spins rare/old soul records. Do you ever find inspiration from your WCSC records creeping into the CSLB sound, or is that a separate beast? More so with the newer material, yes. A lot of times we grab aspects of all types of music that the four of us are, or have been into without really realizing it. In the studio we were listening to the instrumental playback of "Gray Lady" and it dawned on me that it's equal parts Peter Green's Fleetwood Mac, Blind Willie Johnson and Converge. Funny how that happens. Who's the best cook in the band, and what's their best dish? Gabe makes a mind blowing double espresso! You mentioned that Templeton Rye is the official beverage of the CSLB - how did that come about? Well, we experimented exhaustively with various top shelf bourbons seeking the one that invites the Spirit Of The Boogie. It turned out that the magic elixir was a prohibition era rye. What are your fall plans for the CSLB? Any new music on the horizon? Yes, many new tunes to premiere! Mostly we're focused on getting our album out on wax. We spent a great deal of time and money to record the album the old fashioned way. It's really a shame it only currently exists as a download.